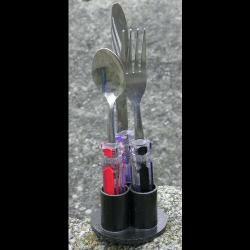 Knife, fork and spoon with holder. When buying a 'set' the holder is included. Choose the color holder you prefer. To see the available colors, click here!